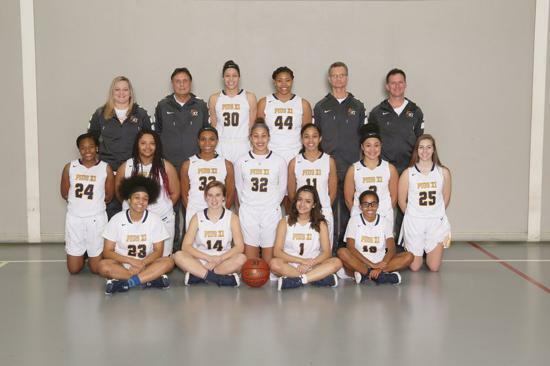 The Lady Popes will begin 2019 tournament play Friday night, as they play host to Milwaukee Marshall. Marshall defeated Milwaukee North Tuesday night, winning for the 8th time in their last 9 contests. 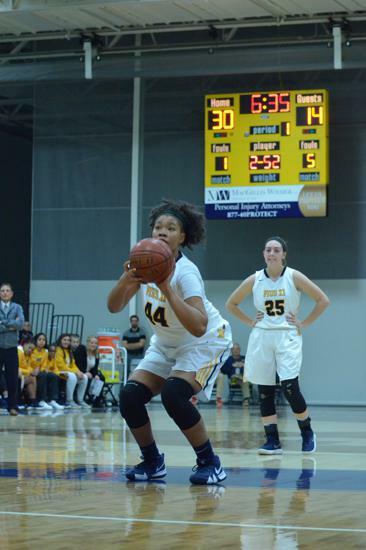 Competing in the Milwaukee Conference's Blue Division, Marshall's late season surge pushed them up to 2nd place, and they currently sport a 13-5 record overall. Alvi Badberry leads the team in scoring at 19.9 ppg, and the team averages nearly 52 points a game. Tamera Boyd is scoring 9.0 and Dekayla Bell 8.6. The Lady Popes closed their season with 6 straight wins, pushing their overall record to 17-5. They finished 3rd in the Woodland's West division and earned a #2 seed in their half of the Whitefish Bay sectional. During the Pius winning streak, opponents have been held under 40 points in all 6 of the contests, which dropped their season average to 40.2 points against. Tip off on Friday night is at 7pm. If Pius wins, they will host the regional final on Saturday night, again at 7pm against the winner of the Milwaukee Washington vs. Wauwatosa West game. 2018-19 results, remaining schedule, and statistics. The Lady Popes opened the season with a 78-39 win against East Troy.